The folks at Safai Coffee are opening a brand new market in Shelby Park in Louisville, KY. They came to us with a need for a landing page to direct people to while they work on opening their market. We put together a great landing page for them that is helping connect them with vendors and other people who need information about the market. The site is full of movement and green colors to reflect the “green” sustainable nature of the market. 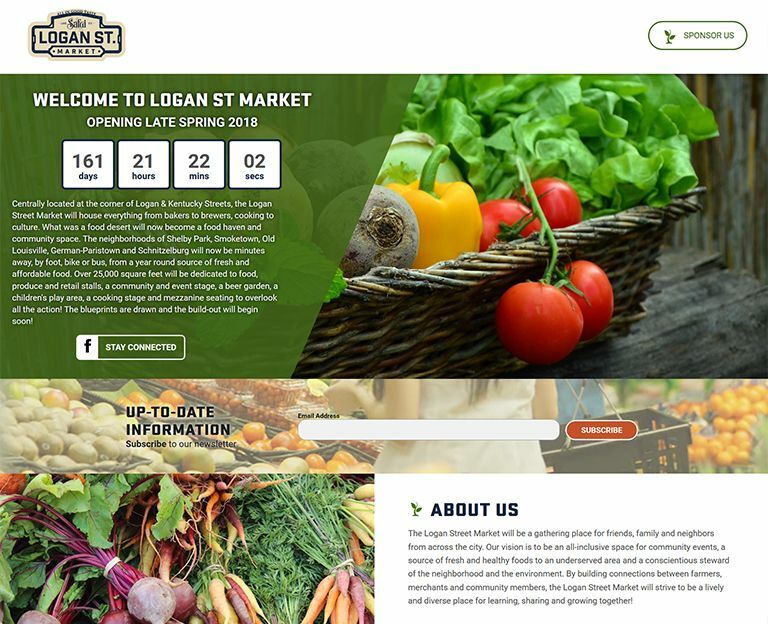 We love this website and the concepts behind the market!